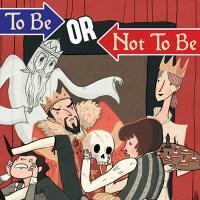 Shakespeare’s Hamlet as a comedic choose-your-own-adventure. The text is clever and fun to read, as to be expected of writer Ryan North. I really enjoyed my first playthrough, where I chose the Shakespeare-official options to familiarize myself with the normal story. I wasn’t able to stick with the game much longer after that, though, because the UX is inexplicably bad for repeat plays. Most visual novels have this stuff down but for some reason this game’s engine doesn’t use any of the standard assists - it doesn’t mark which options you’ve already chosen and you can’t fast-forward through stuff you’ve already seen. That means too much time spent sitting through boring stuff and not enough time spent reading hilarious and awesome new stuff. You can also just buy this as a straight-up book, which might be better since you can flip around more easily. I Stopped Playing When: After a couple of playthroughs it was difficult to keep track of which routes I’d taken and I couldn’t skip over content I’d already read, so I stopped before seeing everything.